When you’ve been locked out of your car or need someone to change your locks, call Peoria Locksmith for fast and professional service! We are a team of licensed and insured locksmiths in Peoria AZ and our 24 hour mobile services make it easy to get help right when you need it. We have been in business for more than 9 years and are proud to offer only the highest quality workmanship and speedy locksmith service. Call Peoria Locksmith at (623) 208-7653 for all your locksmith needs. Our 24 hour mobile service and fast response times make it convenient for you to get the services you need from a professional locksmith in Peoria AZ. Our team works hard to provide only the highest level of services. We’ll open that door, re-key your home, or repair broken locks quickly and efficiently! Residential Locksmith Services – including locks service repair and installation, high security locks, rekey service, mailbox locks, home lockout service, and more. Commercial Locksmith Services – including rekeying locks, exit device, panic bar, master key system, locks change service, lockout services, safes, high security locks, and more. Automobile Locksmith Services – including broken car keys, steering wheel club opening, lockout service, transponder keys made, car key replacement, ignition fix/replace, and more. Emergency Locksmith Services – Including 24 hour lockout service, locks changing, rekey locks service, and all types of lock and key services for your home, car and office. We’ll be there FAST! Peoria Locksmith offer in addition to our lock and key services, FAST lockout service. Since we are mobile service and because we have locksmiths located around the entire area, we can get to your location FAST. So when you have got yourself locked out of your car, home, office, or any other property call Peoria Locksmith. 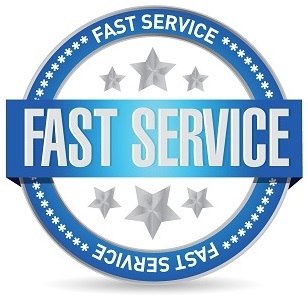 Fast Response Time – 25 Minutes Or Less! Our technicians arrive fully equipped with huge verity of locks and parts. Our highly-trained Peoria locksmiths professionals are available 24/7 to provide locksmith services throughout the Peoria AZ area. You can count on us to be at your location within 25 minutes or less! Whether you need emergency locksmith services or looking for a security improvement, talk to us for fast and efficient service. Ask about our up to 15% online-only discount! Locked Out? Lost Keys? Are You Looking For Locks Installation Service?